Denver artist Daniel Crosier’s artwork has been selected to dress the set for multiple tapings of MacNeil/Lehrer NewsHour during the 2008 Democratic National Convention. For thirty years, millions of Americans and citizens of the world have turned to MacNeil/Lehrer for the solid, reliable reporting that has made the NewsHour one of the most trusted news programs in television. The program’s producer was impressed by Crosier’s artwork and approached him regarding the opportunity to display his art on set. Crosier provided some of his unique, watershed wood pieces, specifically selected for the set to complemented the deep, dark red brick background. Crosier’s three featured pieces, all created on pine lumbar, are both unique and distinctive. The first piece, appropriately titled, “Nose” has become Crosier’s signature piece due to its compelling visual appeal. Nose has been featured in many gallery shows as well as Juxtapoz Magazine’s online edition. The additional two pieces can be described as abstract non-representational, sculptural paintings. 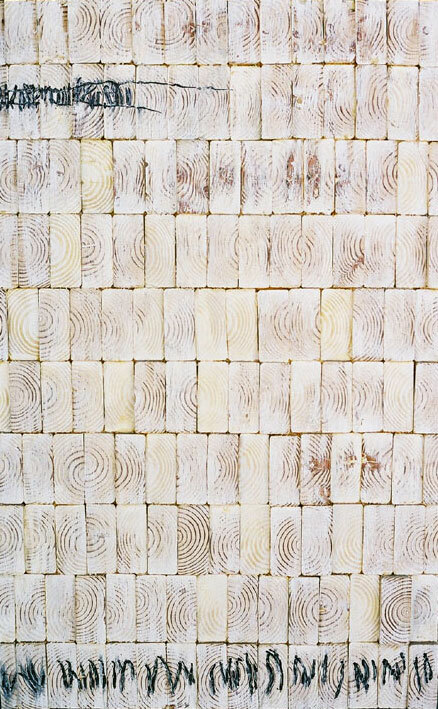 They are exercises in design, crafted by using cross sections of pine lumbar to create the composition. All three of these pieces are currently for sale. Please contact www.thothengine.net for more information. Denver-based artist Daniel Crosier has exploded onto the comic book scene in the last year. Illustrating and writing multiple comic book projects with a variety of well-established publishers, Crosier’s distinctive approach, incomparable perspective and vibrant personality has the industry taking note. Crosier has a degree in fine art from Rocky Mountain College of Art and Design in Denver with an emphasis in drawing and sculpture. This background in fine art has encouraged him develop a watershed wood burning technique for illustrating his latest comic book project, “Bartholomew of the Scissors” from Bluewater Productions. Crosier is illustrating and burning the entire four part comic book series on wood panels. “Bartholomew of the Scissors” will feature gothic horror elements with innovative twists. Similar to the new “Vincent Price Presents” series which Crosier will also be involved with from Bluewater Productions, the primary focus is on good storytelling technique and exceptional art opposed to gratuitous gore.